I love salad. The simplicity of the leafy green and the endless possibilities. 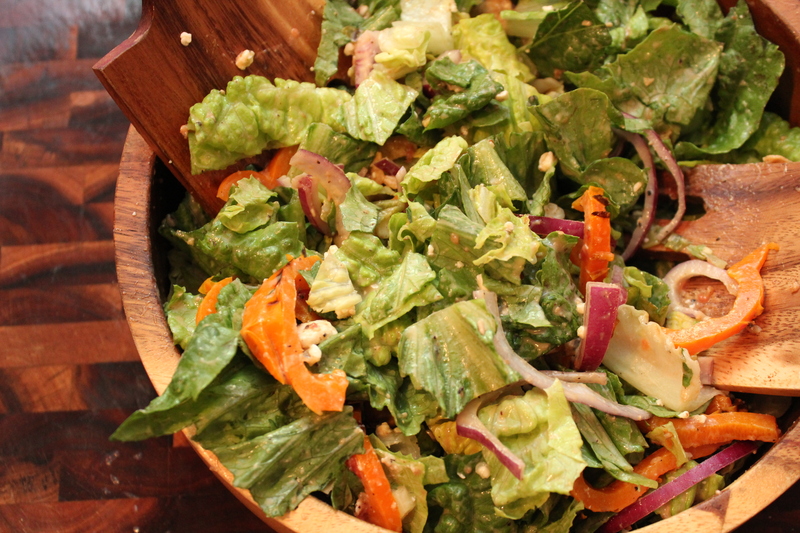 The fact that you can make a salad more fattening then a cheeseburger pretty much says the sky’s the limit! While grilling some chicken and corn I threw together this simple little delight. This would also be delicious with some rotisserie chicken shredded on top for a complete dinner. 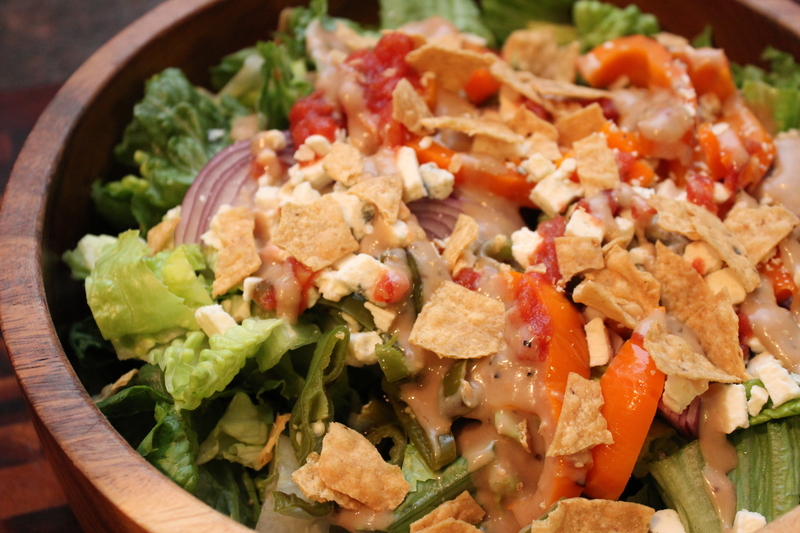 Don’t forget the crumbled tortilla chips…it definitely makes this an epic side salad! **I don’t like my lettuce drenched in dressing so feel free to add as much as your little heart desires!